Event Performances include First Night Raleigh, Artsplosure, Artstober, WRAL Holiday Tower Lighting televised show, recitals at Sunrise Senior Living in Raleigh, corporate and civic events (e.g. Blue Cross Blue Shield, YWCA Academy of Women, Triangle Community Foundation 25th anniversary Event, etc.) Perhaps the largest event is the Summer Showcase, a one-week intensive summer camp. 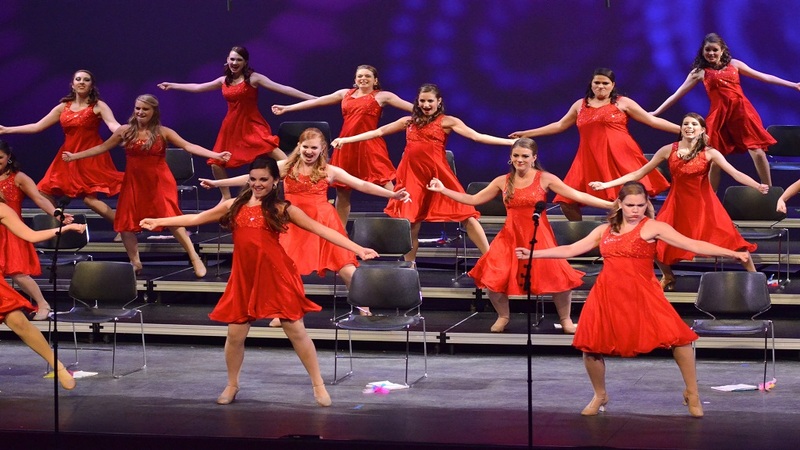 Musical styles range from a capella to ballad to fully staged production numbers, and the intense music camp culminates in a large scale performance. Performance Edge strives to instill the highest quality of singing by teaching about superb vocal blend, intonation, tone quality, and diction in combination with innovative choreography, show design and overall presentation. Performance Edge is now planning for the 21st Summer Showcase. Over 200 young people from more than 50 different schools benefit from our programs and events each year, and many of our students continue to stay involved as they grow older by helping with various aspects of our programs and “giving back” to our organization.